As I mentioned in a post last week, I am not a morning person. But the morning golden hour does have its photography benefits. 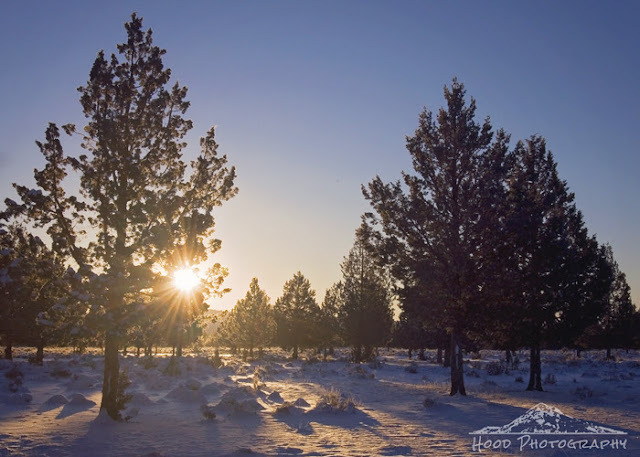 After watching the full moon go down in the west, I trekked through the snow over to the opposite side of my dads property and took in the sunrise to the east. Gorgeous it is indeed!!! You surely can't beat the beauty of Oregon, that's for sure!! Looks like a Christmas card, lovely scene and image. Happy weekend! Beautiful - as always! You have a real gift. the sunrise over the snow is gorgeous. I know you are glad you got up for that magic hour. I have an app on m iPhone that buzzes for the magic hour in the evenings. It’s a great one to have. Now I am wondering if there is one for the morning, or if I have just overlooked it.